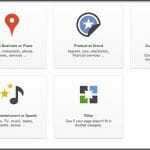 How to Setup your Company Page on LinkedIn – There was the time when LinkedIn wasn’t seen as a social platform to promote the business. But now the studies reveal that 84% of users get a number of business opportunities from the LinkedIn. Does your Company have a page on LinkedIn? If not, then this is the first thing you need to do today for your company. Know how to setup your Company page on LinkedIn and get the numerous benefits. LinkedIn provides you the best opportunity reach to the professionals around the world at one place. You just need to target the right and suited followers by creating your company page to drive more business. Before heading to Tips to Setup your Company Page on LinkedIn, you must know its benefits and requirements. Creating a linked in a page is not a big task to carry out getting followers is where the business owners need the little guidance. Company page on such professional social network is very helpful in for your business and its growth. 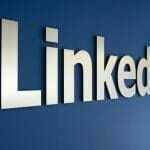 Earlier people thought that linked in is only beneficial for job hunting but soon it emerged as a good promotion platform for business among the professionals. Linked in the page of your company tells all the establishment story of your company. This could be the best platform to introduce your new product or services to the group of professionals. Company page on linked in provide the individuality to your brand or services that clearly separate you from others. If you want to keep the track on the work of your competition then this is the best place for you to do so. 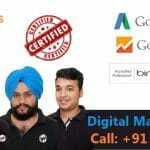 Page of your company on linked in helps well in improving your rank on search engine. It is also beneficial for establishing the good public image of your company globally and represents your company as trustworthy and reputed organization. Company page on linked in provides you opportunities to build referral relationships, generate sales leads and attract talented members to join your team. 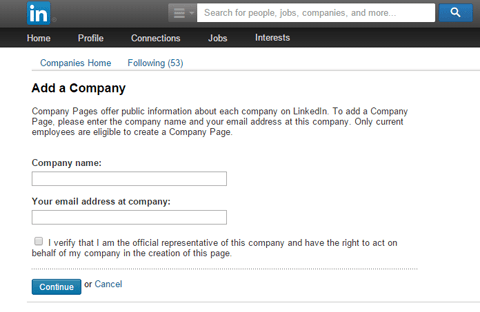 These are the reason that companies are making sure that they have the professional company page on linked in. If you don’t have any, here are the simple steps to create one with the requirements for creating it. For setting up the company page makes sure that you have your personal linked in profile first with your first and last name. 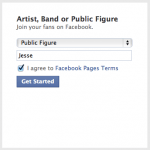 At least seven-day-old profile is required for creating the page. Intermediate or All Star profile strength is required. You need t have several connections on your profile. A current employee of the company can create a linked in profile and needs to mention the positions. Company’s email address is required to send the confirmation, linked in not send the confirmation mail to alias email addresses. Make sure complete these requirements first, if you full fill all these requirements then you are set for creating your company page on linked in. If you want others to know about your company, linked in is an effective social media platform to do so. The company page on it will make people aware of your brand, products, and services, business and job opportunities. On the top of your homepage click on the Interests and then select Companies option. 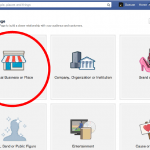 Create a Company Page option will appear on right, click Create from there. Now you need to enter the professional name of your company along with the email address. By clicking Continue option enter the information regarding your company in it. Note: In a case of unconfirmed email address on your linked in an account you will get the confirmation mail at the same address. You need to follow the instructions provided in the message in order to confirm your email address, and then by using the instructions add your company page. In case you have trouble in adding the company page a red error message will appear. After you done publishing the page, preview of the company page will not be available thought it will be live on our website. If you want to create a strong presence of your business than having a company page on LinkedIn is the foremost important thing. This provides you an opportunity to display your goods and services in front of professionals from different parts of the world. We hope this post served your purpose well.